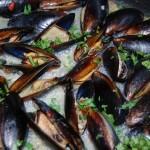 Penn Cove Mussels are the sweetest, meatiest, mussels you will ever eat! Serve as an appetizer or light dinner with crusty French bread for dipping! Melt butter in a large saucepan over medium heat. Sauté scallions, garlic, parsley and basil, until the onions are translucent. 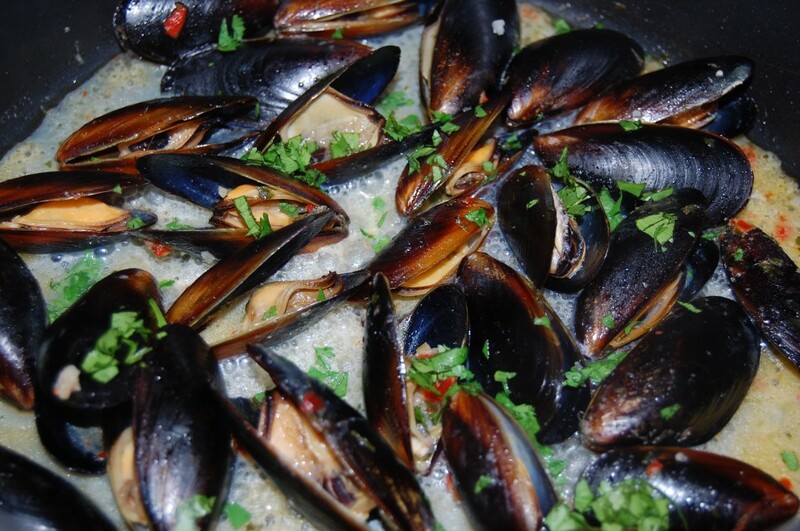 Turn heat to medium-high, add mussels and wine, cover with lid. Steam 5-6 minutes or until shells are open. Discard any mussels that do not open. Serve in bowls with some of the nectar from the pan and crusty French bread for dipping.